The login page can be customized per service provider, so that the users can be aware of which service provider website they are logging into. 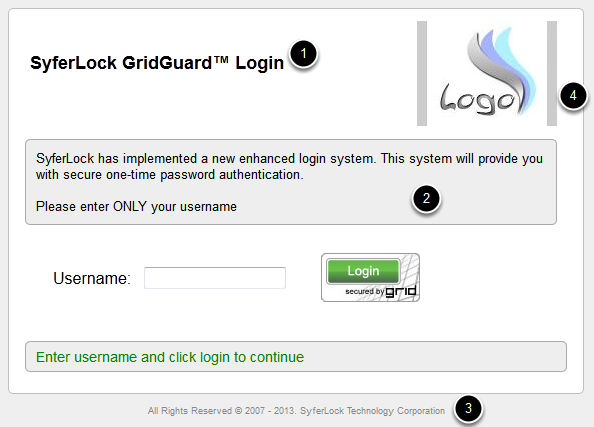 Sample login page is shown above. The page header, description and footer can be configured on the Login page settings for the service provider node. The logo is the default image associated with the realm, that is associated with the service provider.